In addition, Darton designs' manage and enhance water flow from block to head to promote stability of cooling and all sleeves are of the "Wet" design. When dry sleeves are pressed in with interference fit, the materials interface is not perfect which further exacerbates heat transfer. Nissan 350Z & Infiniti G35 - VQ35, VQ35DE Engines. Supertech Performance is best known for high performance valves, and valvetrain components. Supertech Part # BG-VQ35DE. We are proud to bring you fair prices on the top parts available for the automotive performance industry. 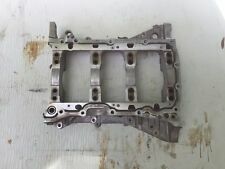 UP FOR SALE IS A USED UPPER BLOCK HOUSING FROM 07 350Z. WILL FIT: 07-2009 NISSAN 350Z. Darton MID Block Sleeves for Nissan 07-09 350z VQ35HR Engine. The Darton MID kits feature Improved block integral strength. However it Replaces the 14mm nut. 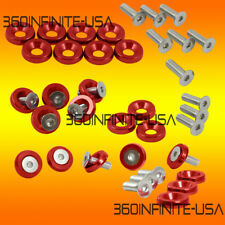 §Replace all the 14mm nut For Most the import models car. §Stainless Steel construction Screws & Aluminum Washer. FREE image editing and. USER MUST FOLLOW THE DIRECTIONS-ANY MODIFICATION OR ANY MISUSE OF THIS PRODUCT IS AT HIS/HER OWN RISK. TYPE: ENGINE. RIGHT (PASSENGER) SIDE. PRODUCTION DATE: 05/05. TRANSMISSION: AUTOMATIC. Engine: VQ35DE. The factory fasteners were also not designed to be reused. If the fasteners stretch too far, they will not longer provide the required clamping force, and can lead to an engine failure. Lower half of the upper intake manifold, removed from 2006 G35 coupe. Warranty does. You may need to call into a station to get accurate information about your item. Nissan Skyline RB25, RB25det, RB20, RB20det Engines. 90-96 300ZX VG30DE, VG30DET, VG30DETT Engines. Supertech Valve Stem Seals applications 2003 350z VQ35 Engines. 2003 G35 VQ35 Engines. 2006-2008 Infiniti M35 rear wheel drive. 2004-2006 Nissan 350Z. 2003-2007 G35 rear wheel drive. 2006-2016 Nissan Murano. This is a used OEM engine cylinder head left side for the following vehicles. Donor vehicle info. 2006-2008 Infiniti M35 rear wheel drive. 2004-2006 Nissan 350Z. 2003-2007 G35 rear wheel drive. 2006-2016 Nissan Murano. This is a used OEM engine cylinder head left side for the following vehicles. VIN: Jnkay01e56m103728. 2006-2008 Infiniti M35 rear wheel drive. 2004-2006 Nissan 350Z. 2003-2007 G35 rear wheel drive. 2006-2016 Nissan Murano. This is a used OEM engine cylinder head right side for the following vehicles. Donor vehicle info. Model: INFINITI G35. INFINITI G35 07 (3.5L, 6 cylinder), 4 Dr (Sdn, VQ35HR), from 5/07. INFINITI G35 08 (3.5L, 6 cylinder, VQ35HR), (4 Dr, Sdn). INFINITI FX SERIES 09-12 3.5L (6 cylinder). INFINITI EX35 08-12 (VQ35HR). Part Number: 11412. Since 1928 we have established our reputation as the supplier of choice for the professional technicians in our community and are committed to keeping that reputation. However it Replaces the 14mm nut. 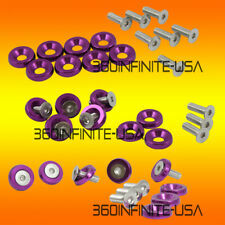 §Replace all the 14mm nut For Most the import models car. ��Stainless Steel construction Screws & Aluminum Washer. FREE image editing and. USER MUST FOLLOW THE DIRECTIONS-ANY MODIFICATION OR ANY MISUSE OF THIS PRODUCT IS AT HIS/HER OWN RISK. We offer local pickup or shipping! For sale is oem VQ35HR engine oil injector set of 4;. 07-08 infiniti g35 sedan. this set will fit . Oil Block Adapters were made to prevent unnecessary drilling in the vehicle oil pan for installation of an oil temperature sensor. 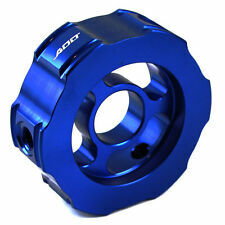 §Oil block adapter simply mounts between the factory oil filter and the engine block. Manufacturer Part Number: TW632. MPN: TW632. TIRE CHAINS. TIMING BELT. 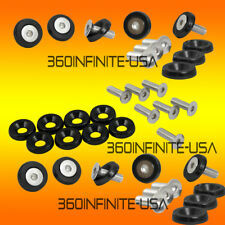 Tire Chains And Accessories. Timing Parts/Kits-Valve Train. Rotating Electrical. Radiators And Cooling. 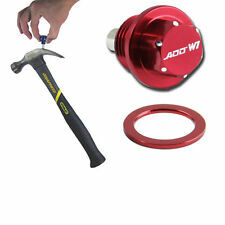 ADD W1 Oil Drain Plug ALUMINUM - Red. 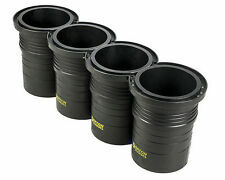 Threded Size: M12 x 1.25mm Fits most Nissan,Toyota. 1x Magnetic Oil Drain Plug. Drain plug will give you oil changes into engine wear evaluation. Fits most the Nissan,Toyota. ADD W1 Washer Ver2 (M6W B). § it Replaces the 10mm hex bolt. §Replace 10mm hex bolt. §This is for 12 washer / 12 polish bolt. §Stainless Steel construction Screws & Aluminum Washer. No matter whether your needs are performance or styling oriented, ADD can provide the parts needed to add power maximum visual impact! Part Number: 16600. This heater is available in 400,600, and 750 watt models. The engine types may include 1.1L 1089CC 66Cu. l4 GAS OHV Naturally Aspirated, 1.4L 1393CC 85Cu. l4 GAS SOHC Naturally Aspirated, 1.5L 1471CC 92Cu. Threded Size: M12 x 1.25mm Fits most Nissan,Toyota. 1x Magnetic Oil Drain Plug. Drain plug will give you oil changes into engine wear evaluation. Fits most the Nissan,Toyota. 1x Oil Plug Gasket ring. Engine: VQ35DE. Bearings are a wear item and should never be re-used. If you are building an engine, put a good set of bearings in it. We use Clevite often and they never give us problems. Car Model: 350Z G35. ADD W1 Washer Ver2 (M6W B). § it Replaces the 10mm hex bolt. §Replace 10mm hex bolt. §This is for 12 washer / 12 polish bolt. §Stainless Steel construction Screws & Aluminum Washer. Color: BLUE. No matter whether your needs are performance or styling oriented, ADD can provide the parts needed to add power maximum visual impact! ADD W1 Washer Ver2 (M6W B). § it Replaces the 10mm hex bolt. §Replace 10mm hex bolt. §This is for 12 washer / 12 polish bolt. §Stainless Steel construction Screws & Aluminum Washer. Color: RED. No matter whether your needs are performance or styling oriented, ADD can provide the parts needed to add power maximum visual impact!